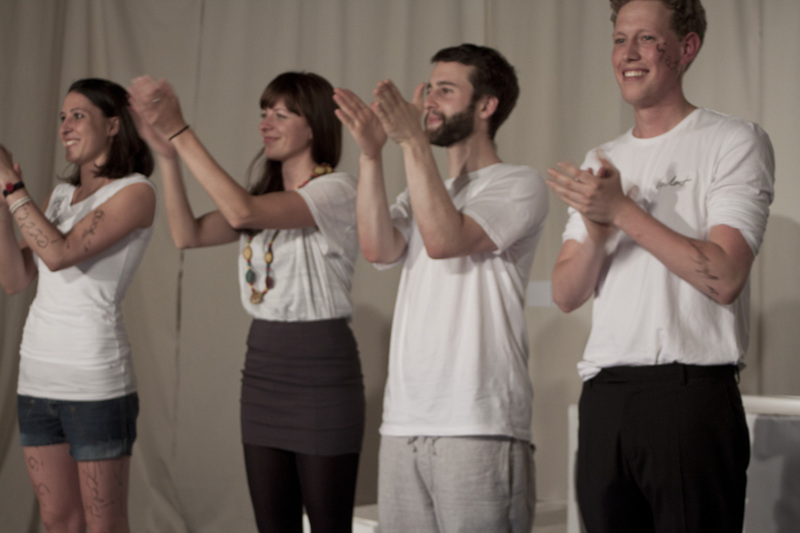 The theatre project “Buspark” took place from the 4.9. – 2.10.2011 in Kitgum, in Norduganda / Africa. The project leaders were Ellen Uhrhan and Stefanie Rejzek. 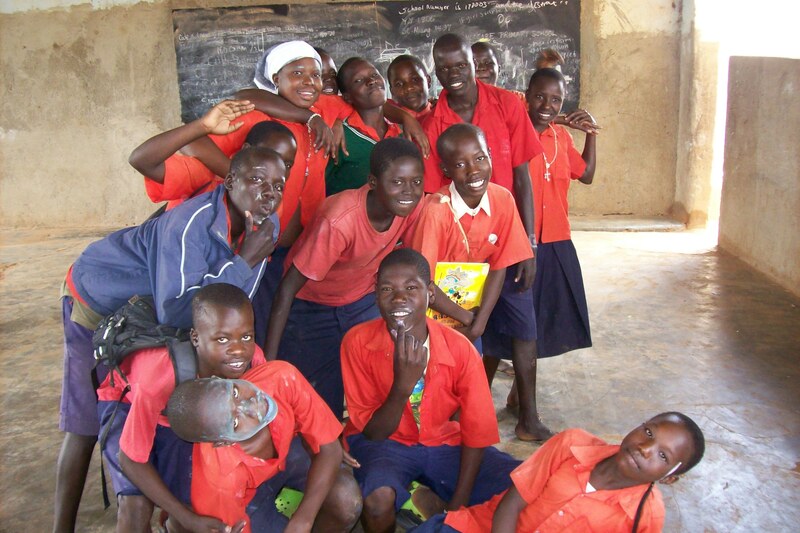 The main project was the Primary School of the CKS organization (Childcare Kitgum Servantshttp://www.cks.org.au/). Most of the inhabitants of Kitgum are widowed and orphans and most of the children or adolescents are former child soldiers, so part of the project aimed to build accommodation or recreational spaces. Our theatre project was integrated into the “social skills” and English classes and concluded with a public, free performance at the school. Our goal was to develop a piece jointly with the pupils. In this way, we wanted to offer to the children and young people the opportunity to be artistically active and to express themselves and their opinions. The project encouraged creativity and strengthens the personality, language and body tone train. Collaboration in group increased the feeling of identity. The aim of our work was to develop different theatre´s skills and support independent production. Above all, the project idea was to stimulate fun and play. At the end, we were able to achieve all the planned goals. At first we had to struggle with great shyness on the stage, but this was settled over time. We developed several scenes with the pupils of stage 6, who had the “bus park” as common ground. 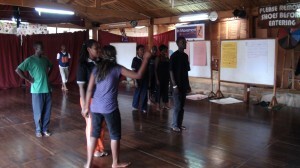 Starting from numerous exercises, the students developed independently processes, conflicts and dialogues for their scenes. We had as a sample room a classroom and, as a performance venue, a large open hall. The hall was so busy, that in the different corners different “bus stops” were created. The audience had to walk from stop to stop to see the individual scenes. At the end, we had a group that strongly held together, showed enthusiasm for the art and the game and an audience. We have thus been able to promote the creativity of the pupils and to empower them to produce art. 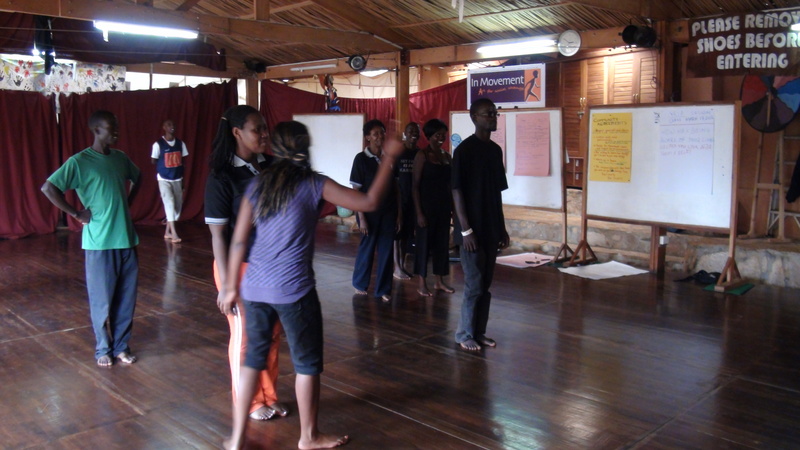 In the teacher’s workshop, we were able to show the teachers a new way of using the theatre and motivate them to leave more responsibility and empowerment in this work. The project was a complete success. Thanks to all the people who have been involved and helped us! One always waits and everywhere, one never stops. One waits for one or more at the same time. One waits for small and big. Lindako-Waiting Pictures is an interdisciplinary theatre project. It comes alive from a cooperation between Uganda and Germany, between the Rafiki Theater and Expedition Metropolis. The project began in February 2012 and ended in June of the same year. It was initiated by WalkAlong eV and by the Project manager Stefanie Rejzek. With this project, the aim is to create a communication between two cultures using a special mean: the theatre. This communication is built up by two theatres (groups) and thus played for the public. The form is interdisciplinary, since both acting, performance and video techniques are used. The questions about the background, similarities and differences, which can be socially, politically, etc., are placed and treated during the process and in the scene. But it is not just the topic that is supposed to be exchanged, but even the level of form, aesthetics, and play. Despite the distance (more than 10,000 km) communication was enhanced using video projections and video circuits. Thoughts and ideas of both the groups can thus merge, contradict, supplement and confirm each other in a project. The German theatre makers should benefit as well as the artists in Uganda. Communication is to be held in the form of theatre, an exchange on the artistic and sociocultural level.